The Group Managing Director, Nigerian National Petroleum Corporation, Maikanti Baru, has lamented the incessant vandalism of the Aba-Enugu products’ pipeline, which has suffered about 700 breaches. According to him, this has hampered efficient supply and distribution of petroleum products not only in Enugu State, but in the entire South-East, and partly in the North-Central and North-East. Baru stated this when he paid a courtesy call on the Enugu State Governor, Ifeanyi Ugwuanyi, at the Government House in Enugu, according to a statement issued on Sunday by the Group General Manager, Group Public Affairs Division, NNPC, Ndu Ughamadu. 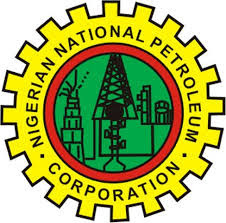 The NNPC boss explained that even after the Aba-Enugu pipeline was repaired, it still had to be shut down as the corporation was hardly getting up to 50 per cent of the products pumped through it. He described the Enugu depot as a major NNPC supply and distribution infrastructure in the entire South-East region, which required the support of all stakeholders to bring it back to life. Baru said the Osisioma and Nsirimo areas (both in Abia State) as well as Ishiagwu (in Ebonyi State) were the major vandalism flashpoints along the line where illegal connections for diversion of products had been observed almost on a daily basis. He, therefore, called on the Enugu State governor to rally his counterparts in the region to work with the corporation and security agencies to secure the strategic pipeline, which he said would go a long way in reviving efficient supply and distribution of petroleum products in the area. “This Enugu depot is not only strategic to the South-East, it also serves as a bridge to the Makurdi depot in the North-Central as well as the Yola depot in the North-East,” Baru was quoted as saying. He charged the governor to collaborate with relevant government agencies to enforce the sale of petrol at filling stations in the state at the government-regulated price of N145. “You wouldn’t want to watch as unpatriotic marketers profiteer over your innocent citizens. We still believe marketers anywhere in this country can make profit selling at the official pump price,” Baru added. Responding, Ugwuanyi assured Baru that he would rally other governors from the region to ensure that the Aba-Enugu pipeline was secured from the unwholesome activities of vandals. He said the visit by the NNPC boss was timely, adding that as a governor, he was now better informed as to why the Enugu depot was not in operation. Ugwuanyi assured the NNPC team that the Enugu State Task Force on Petroleum Products would work with officials of the oil firm and relevant security agencies to ascertain the exact incident spots with a view to securing the pipeline.